Did you know that a new home will have as many issues as a 10-year-old home, if not more? Did you also know that the same types of defects are found in both new and older homes? It’s a fact: Every buyer of every home, new or used, should have a home inspection. And if you don’t have your brand-new home inspected before you purchase it, rest assured that your buyers’ inspector will find the builder defects—and they are there 100% of the time—when you sell your home. Having an experienced Realtor like me, who has an ongoing reputation with new home builders and possesses the negotiating tactics required to persuade a builder to make seemingly insignificant repairs, will save you money and hassle in the long run when buying a new home or selling your existing home. 1. Moisture and drainage – of the lot and of the structure. Stucco covered homes tend to have moisture problems more often that brick homes. 2. 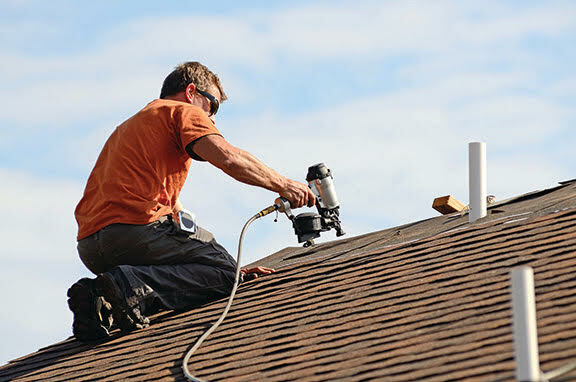 Roof problems – On new homes especially, improper installation is the number one defect. On resale homes, roofs may incur flashing damage. 3. HVAC – In new homes, improper installation and sizing are problems. In resale homes, code violations, inefficient operation, and end of service life are problems. 4. Electrical systems – In new homes, issues include open grounds, reversed polarity, and improper installation of the main panel. In resale homes, issues include outdated code issues, loose wiring, improper installation of the main panel, and GFI faults. 5. Deferred maintenance – This is not found in new homes but frequently presents itself in resale homes as rotted wood, water damage leading to sheetrock damage around shower and bathroom areas, rusted back doors, and loose wiring. 6. DIY projects – This is not found in new homes. In resale homes, a non-professional (or sometimes a bad professional) may botch such jobs as improper repairs, additions, wiring, roofing, and shut off and back flow valves. 7. Insulation – Improper installation can be a problem in both new and resale homes in several ways: Insulation can be unsecured, mismatched, covering soffit vents, or touching a heat source such as a light fixture. 8. Disregard for manufacturer’s instructions – An extremely common problem is improper installation of appliances, particularly jetted bathtubs and dishwashers, in new homes and in resale homes. 9. Insect damage – This is not often found in new homes but frequently found in resale homes. The older the home, the more likely it has had an infestation of some kind of wood-destroying insect such as ants, carpenter bees, borer beetles, or termites. 10. Wrong materials used for the intended purpose – This is often found in new homes and resale homes due to a builder’s shortcuts or a homeowner’s lack of knowledge of what is required on a DIY repair. Individually, most of these items are inexpensive. Aggregately, they can add up to thousands of dollars. Because I have an ongoing relationship with new home builders, when you list with me, I am often able to persuade your builder to correct their mistakes even years after purchase which will save you money.